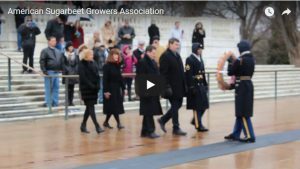 The purpose of the organization is to unite sugarbeet growers in the United States and promote the common interest of state and regional beet grower associations, which include legislative and international representation and public relations. Our members associations represent 10,000 family farmers in all 11 producing states (California, Colorado, Idaho, Michigan, Minnesota, Montana, Nebraska, North Dakota, Oregon, Washington, Wyoming). The Board of Directors donate their time and talents to ASGA in order to represent their growers' interests in maintaining a strong, profitable, efficient and productive industry. They and their fellow farmers are dedicated to supplying a portion of the consumer's sweetener needs. It is a challenge and responsibility that they take seriously and proudly accept. The National Bioengineered Food Disclosure Law was enacted on July 29, 2016. The statute requires the Secretary of the United States Department of Agriculture to create a final rule implementing a disclosure standard for bioengineered food. On May 4, 2018, the United States Department of Agriculture’s Agricultural Marketing Service published a proposed rule to implement a disclosure standard. The U.S. Beet Sugar Industry filed comments on July 3, 2018 in response to the proposed rule for the National Bioengineered Food Disclosure Standard (Disclosure Standard). In our comments, we urged USDA to exclude refined ingredients, including refined sugar, from the scope of the Disclosure Standard. We also wrote that, “Creating any presumption, even unintentionally, that beet sugar produced from transgenic sugarbeets is different or less desirable than its conventional counterparts or cane sugar is not supported by science. The National Research Council Committee on Genetically Engineered Crops is to be commended for its timely and thorough review of Genetically Engineered (GE) crops. We believe that your comprehensive examination of the facts will provide additional insights and knowledge about the technology and enhance consumer confidence in the GE crops we produce and the food we consume. The American public has the right to choose what type of food to eat from the three agricultural production categories, organic, conventional or GM-based food crops, all of which are sustainable. This paper was developed to help consumers understand the specifics behind food production so that their choice is based on facts, not fear or misconceptions stemming from partial information or inconclusive evidence. There are some differences in farming practices among conventional, GM and organic farming methods but there are many practices in common. Food products from conventional, GM crops and organic production practices are safe and are all highly regulated by various government agencies. Consumers have a variety of healthy and fresh food options from among the three production methods (conventional, GM or organic products) and should feel free to choose foods from among these different production strategies without social stigma or health concerns. Consumers are often willing to pay vastly higher prices for organic products even though they are not categorically more nutritious, healthier or better for the environment than their conventional or GM counterparts. 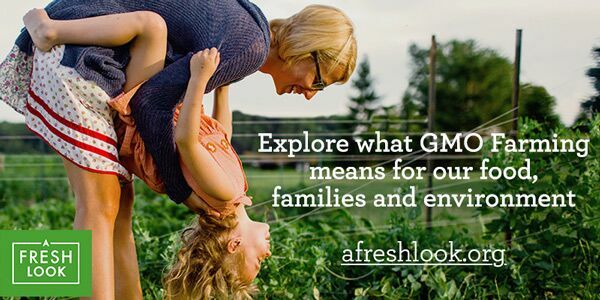 Many consumers’ preferences for organically produced foods are based on misconceptions about perceived benefits of organic foods compared to conventional or GM products.